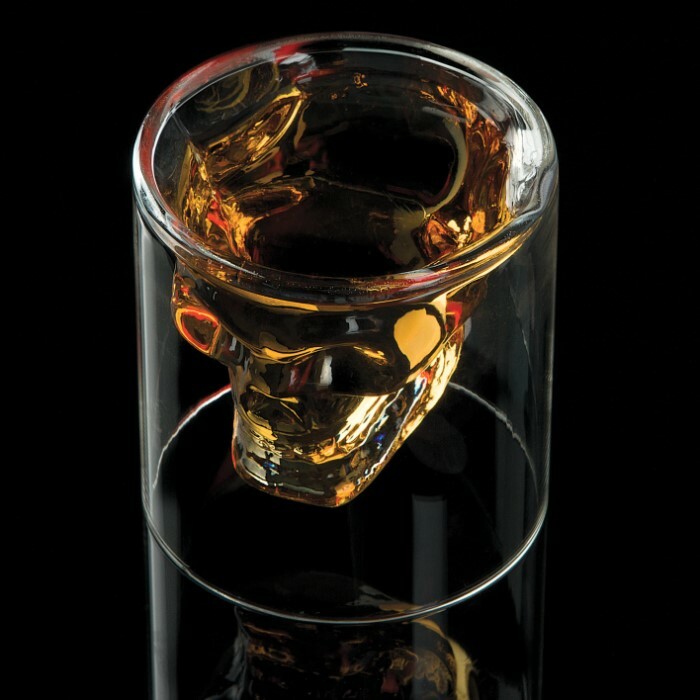 Crystal Skull Shot Glass | BUDK.com - Knives & Swords At The Lowest Prices! 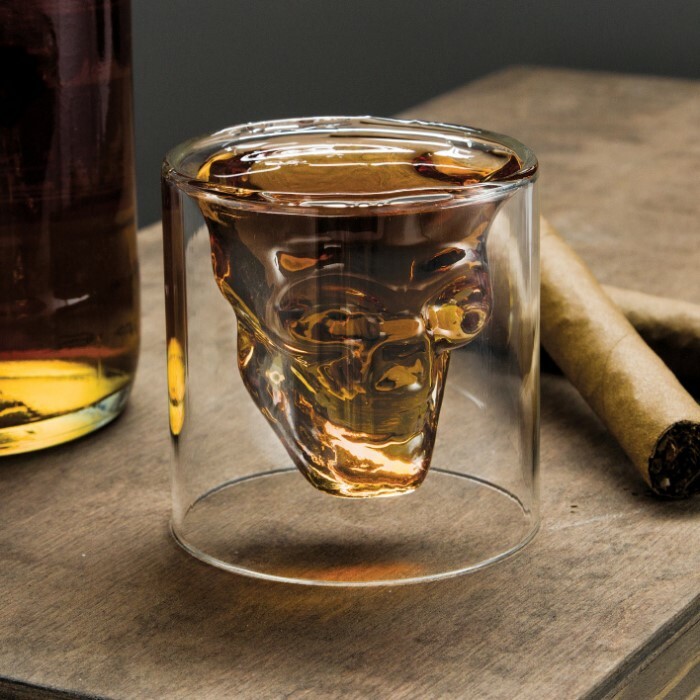 Holds two ounces of your favorite drink; dimensions, 3"x 2 3/4"
You will be doomed if you don’t get this Crystal Skull Shot Glass right now! 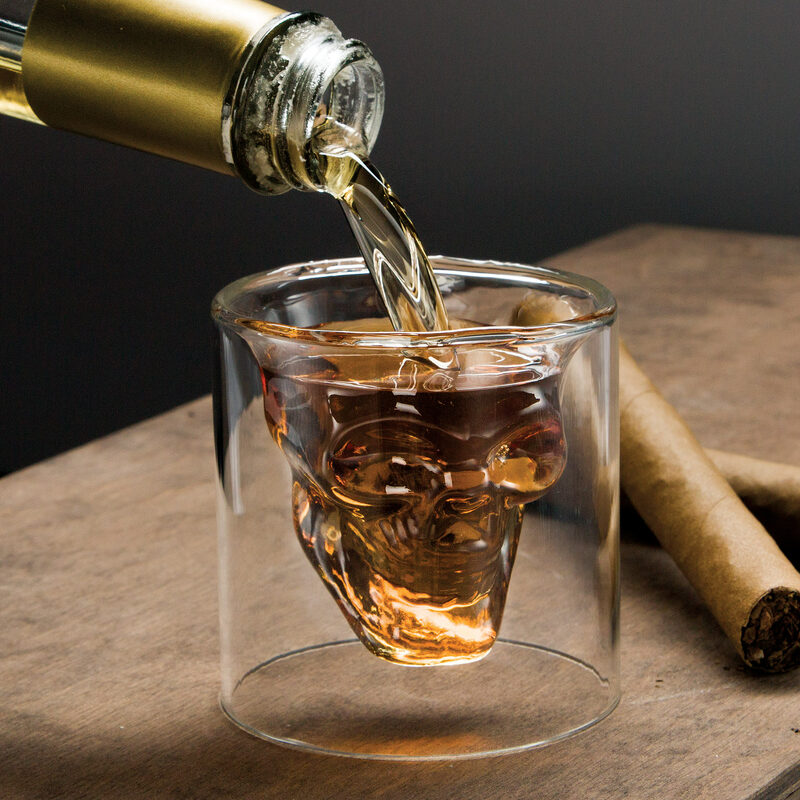 An incredible tribute to the skull of legend, it is finely crafted of hand-blown borosilicate glass and will hold two ounces of your favorite beverage and is 3"x 2 3/4". Can you harness the power of this Mayan icon and stare it down when you down your shot? Bought s a gift. Have not given to him yet. I' sure he will like I'll. A little disappointed with the detail. Not quite as described. But still really neat. Bought a few of these and put on my home bar without telling anyone. By the end of the day my friends were trying different drinks to see which one looked the best, and trying to buy one from me. Love 'em. If you really want the skull to "pop", Frost in the fridge/freezer before your friends come over. A little on the thin side, but I still recommend to add to your collection. 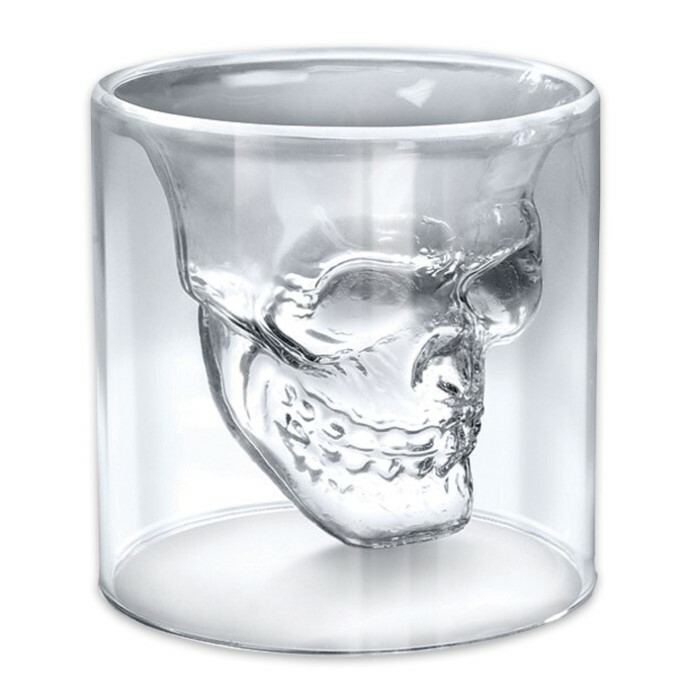 My skull shot glass arrived but was missing the "Finely crafted, highly-detailed design" as advertised. It appears it was a pressed mold into the glass & done in a hurry because the impressions are very faint. Was disappointed & expecting what was described but lacked what was stated. Nice and cool shot glass. Bought this for my older brother cause he loves to drink and I knew he would love this. Came in the mail and wasn't broken or any flaws so I'm really happy with it.